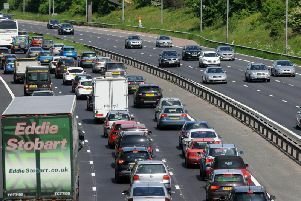 Drivers on the M6 were facing long delays tonight after a smash involving a number of vehicles. Emergency services said two lanes of the southbound carriageway were closed near to Standish, causing jams stretching back to Lostock Hall. The incident, which happened around 6.30pm, followed another collision further north near to Euxton 25 minutes earlier, which also caused delays. It is not known if there have been any casualties.